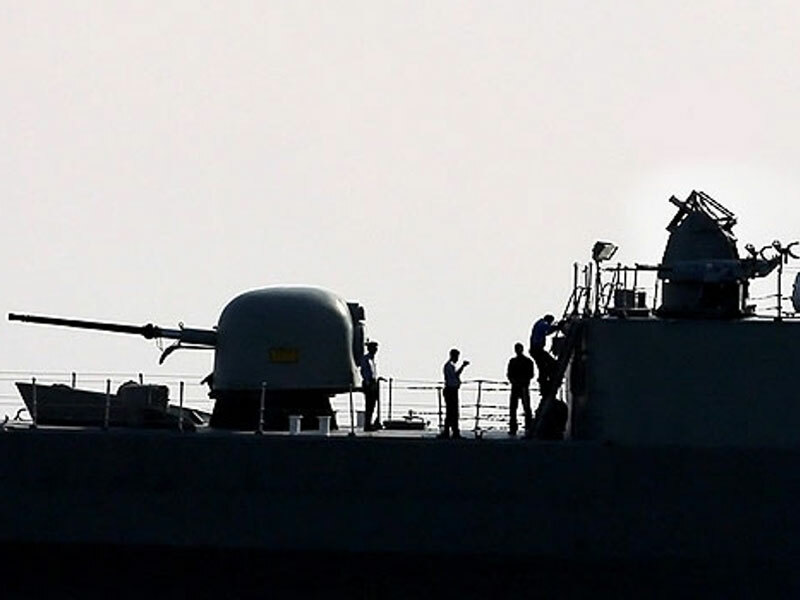 The Iranian Navy equipped its home-made Jamaran destroyer with chaff and flare-dispensing systems to divert the missiles fired by other vessels or enemies’ fighter jets, Fars News Agency (FNA) reported. The system has been mounted behind a 76-mm artillery, named Fajr 27, on the deck of the destroyer. Chaff and flares are passive and defensive countermeasures to confuse and divert radar-guided or infrared-guided missiles fired by enemy aircraft, land launch pads and sites and vessels. Earlier this month, Iran released the first images of 'Asr' phased array radar mounted on Jamaran destroyer after two months of operational tests in the Gulf of Aden. Asr phased array radar was unveiled in November 2013 in a ceremony participated by Lieutenant Commander of the Iranian Army Brigadier General Abdul-Rahim Mousavi and Iranian Navy Commander Rear Admiral Habibollah Sayyari. But the new images were the first to be released of a phased array radar system mounted on an Iranian warship. The home-made phased array radar was caught on cameras for the first time during the massive military drills staged in the Southern and Southeastern parts of Iran on December 25-31. The long-range radar is capable of detecting and identifying targets with a radar cross section of 4 meters in a 200km distance. Asr which has also been mounted on Iran’s other home-made Damavand and Sahand destroyers, can be used in different naval missions and in detection of aerial targets, including cruise missiles. Jamaran destroyer- being equipped with Asr radar- was sent to the Gulf of Aden two months ago as part of the Iranian Navy's 32nd flotilla of warships along with Bushehr logistic and combat warship and it returned to Iran's territorial waters to take part in the recent wargames codenamed Mohammad Rasoulallah (PBUH); it returned to the Gulf of Aden again after fulfilling its mission during the drills. Iran has developed radar systems with different ranges up to some 1,850 miles (3,000 kilometers). In November, Iran unveiled and successfully tested a new home-made long-range radar system named Sepehr (Sky) with the capability of detecting satellite and space objects' trajectories. In August 2013, Iran announced that it has finalized construction of space radars to detect satellite and space objects’ trajectories, adding that the country is now using new passive phased array radars to detect stealth targets and cruise missiles.